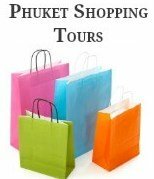 The pages throughout our Phuket Directory are loaded with a range of practical information for visitors travelling to Phuket. These directory pages contain important telephone numbers and addresses as well as a range of other information that hopefully you will never need when holidaying in Phuket. When travelling anywhere overseas nobody likes to think that they are going to get sick and need to visit a hospital in a foreign country. Or that they may need to get in contact with their Embassy or Consulate. Within our directory pages you will find telephone numbers for emergency services. 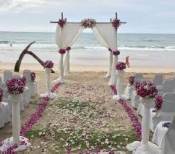 Such as fire and contact details including the address for Police Stations in Phuket. Just say you find yourself in a bit of bother and for some reason you do need to contact the police. As a tourist you are better to contact the tourist police who are there to assist foreign visitors. We hope that you may never need to know these numbers listed in our Phuket directory. However, it is always a good idea to have them with you when you are travelling to Phuket. If you need legal help then Phuket Lawyers can assist with all your legal requirements including buying or selling a business or property to arranging legal marriages and assisting with retirement visa's. On a lighter note we also have included airline phone numbers and a list of internet Wi-Fi hotspots within the directory. From time to time we will also add business listings that we feel our readers will enjoy. One of our most recent listings is Lady Pie, here you will find the most delicious Aussie meat pies made locally in Phuket. To help you to stay up to date with the latest attractions, beach parties and festivals in Phuket is by reading the latest news in the Thaiger an online English newspaper for Phuket, Thailand. For travellers in search of a local villa to rent to spend their holiday vacations contact Phuket Holiday Villa Rentals for more information. Do you own, run or work in a business in Phuket? Would like to list it for free on our website? Tell our visitors about your business, special offers, about your service, location etc, add some photo's and your website details. If your page does not load sometimes the photo's need to be resized under 1 mb to work. Kata's a great comfortable small town & 5 minutes to the beach.